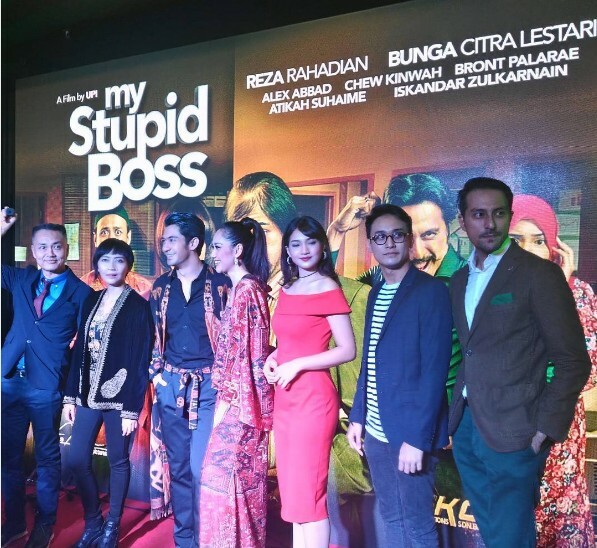 'My Stupid Boss' Movie Review by Your Truly!Yesterday I am so honour to be invited to attend the gala night of 'My Stupid Boss' Movie. I am going to tell you it is the first time I watched Indonesia Comedian Movie! but Language is not longer barrier for the movie, you can easily related it with all the acting.. It is so related to our worklife and laugh out my face for the the whole 'My Stupid Boss' movie that directed by UPI ! 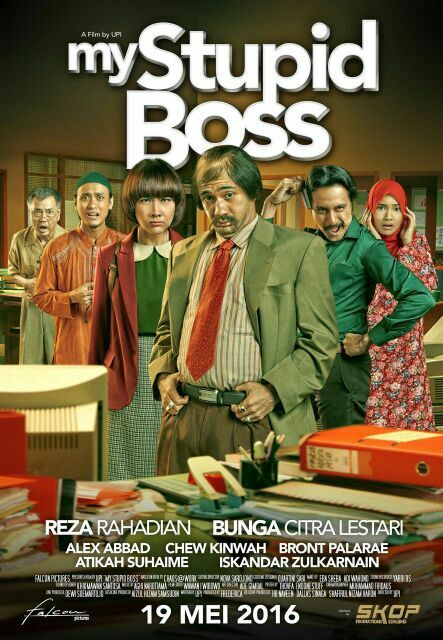 I was wondering how can such Handsome Reza Rahadian can act in so ugly , old , funny bossman for this 'My Stupid Boss' movie! I love how Bunga Citra Lestari (BCL) handle the bossman with her mental war that teached by her husband! 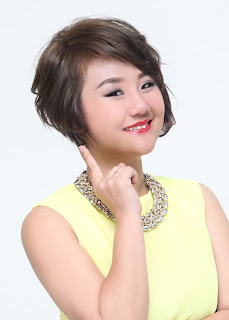 Bunga Citra Lestari cast as Diana followed her husband (Alex Abbad) move and work in the neighboring country of Malaysia. There, Diana had to find work to support their lives and work in an office that has employees from various countries. Conflict occurs when Diana had to deal with his employer, Bossman, who also came from Indonesia (Reza Rahadian). Bossman has a strange behavior and funny character. Bossman has an extraordinary principle, in contrast to other employers. In the office, there are no clear rules and systems in the company's management make everyday life into chaos. Bossman defends its own principles, namely 'Bossman Always Right'. Every desire must be dealt with all of its employees. In it, Diana began to recognize that his colleagues do Atikah Norahsikin Suhaimie, Adrian (Bront Palarae), Azhari (Alexander) and Mr.Kho (Kinwah Chew) which many give the advice to deal with Bossman! 19 May 2016 is the first day of screening, same goes to indonesia! If you have a stupid boss and wanted to know how to handle it! so You MUST go and watch this 'My Stupid Boss'!